There WAS one store that I loved; K-Mart. Let me be clear, I didn’t love K-Mart more than any other department store because it had better products or design. Because it didn’t. I didn’t love it because it had a larger toy section or better video games. Because it didn’t. It didn’t have cleaner bathrooms or nicer employees. For all intensive purposes it was the exact same store as any other store in my mind. Except for one important factor. I lived for Blue Light Specials. And when we were in that store I prayed for blue light specials. In most stores, my mother kept a short verbal leash on me at all times while shopping. It had been a policy adopted early in our shopping relationship. I was to stay within the same aisle as her at all times and never stray from sight. But in K-mart, the rules were different. From the moment we entered that store I would be circling her cart looking for the mobile pole with its blue light firmly affixed to the top. I would stay in a near constant state of panic, ready to hear the favored phrase, “Attention K-mart Shoppers, we have a Blue Light Special in aisle…”. When this phrase was uttered over the crackly loudspeaker my mother would calmly smile at me and say, “Go ahead.” She would utter this phrase with a sort of relief, as if HER prayers had been answered. At her allowance I would bolt off into the store, careening through aisles like a dog on the hunt, trying to catch a glimpse or flicker of blue light off the ceiling as an indicator of proximity. Dashing and dodging in and out of shoppers I would simultaneously look left and right down long sections of goods while at the same time scanning customers body language for any signs of where that sale-giving pole and light were located. Sometimes I found it by sight or sound. Sometimes, just through pure luck. But mostly I found it because they wanted me too. Regardless, I was never disappointed. And when I’d report back to my mother that we could get $1.50 off a 250 count pack of paper plates, she would smile and tell me we didn’t need that. And I would nod my head, catch my breath and hope we stayed long enough for the next blue light announcement. Good times. Here at Executive Essentials, we don’t have the Blue Light Special, but we do have a clearance section that has much more to offer than $2 off a king size pack of plastic silverware. In fact, right now you can get up to 60 percent off Waterford Pens like the Kilbarry, Arcadia II and Glendalough. In the fountain pen clearance category my favorite choice is the Honeycomb Fountain Pen in Red from MacKinnon Pens and the Cross Townsend Fountain Pen in Slate. There are also limited edition pens available as well as pen sets. But, the clearance section isn’t just limited to pens. A great deal of seasonal leather goods are on sale now including attache cases and laptop bags. So take the time to wander over to the clearance section here at Executive Essentials and see if we have something to complete a collection you started long ago or just to find a new purse pen. You probably won’t have as much fun as I did in Wisconsin all those years ago, but your bound to find much better deals. All brands of pens have ranges within their own hierarchy. It’s part of the marketing game to make sure that you have products in your lines that speak to those pen lovers in all economic brackets. I’m glad they do. It’s a good challenge for pen designers to push the limits of quality and aesthetics against the wall of everyday price points. What does a $50 designer pen look like, write like, feel like and smell like compared to a $20 version? How can the manufacturing process be tinkered with to create savings in the higher end pens? Experimentation is key and eventually, the results of those experiments trickle down to the users. Us. But, there’s another way that pen collectors can get good deals on brand new pens rather than waiting for the brands to become more efficient or come out with a line that is more affordable. Quite simply you only need to take a look at the clearance section of the Executive Essentials online catalog. Today I’d like to point you to the Waterman clearance pens. Although the current stock of Waterman pens on clearance isn’t bursting at the seams, you will find 6 great pens at prices that are worth considering. So take the time the time to check out a few of these great deals on Waterman pens. But remember, we also have a great deal more Waterman pens in the Executive Essentials catalog that are worth looking at as well. Blending prestigious materials, color, and a distinctive, vibrant personal style, Waterman continues to create some of the most elegant and inventive writing instruments in the world today. The Waterman Hemisphere rollerball pens, with its timeless lines, are practical and discreet. It breathes modernity and a magnetic refinement. The simple contemporary elegance of this stylish chromed rollerball is made from lustrous black lacquer is as timeless as a little black dress or a tailored tuxedo. This particular pen is running $35 down from $75. A real steal. The Waterman Perspective celebrates the dynamic purity of modern architecture. This elegant expression of contemporary design has a slim cylindrical shape decorated with a delightfully dazzling chrome finish throughout each pen. This ballpoint is made a silver colored satin lacquer that creates a shimmering tone effect and is decorated with the sharp beauty of architectural lines. It comes with a three-year warranty and a twist action mechanism that is easy to use. Originally this pen cost $130, but now it is only $109 in the Executive Essentials catalog. The pen that breaks away from all expectations and changes the rules…the Exception. With its bold square design, the Waterman Exception has a powerful presence, finesse, and elegance. This fountain pen is the ultimate expression of seductive confidence. It is made of rich, luxuriant berry pink lacquer and bright white silver-plated trims for women who just love being women. To add to this stunning writing implement is an intricately engraved rhodium plated18-karat gold nib. Right now you can get a savings of $85 and have this pen in your hand for $300. These pens and variations are available in the Executive Essentials catalog. And don’t just dwell on Waterman, Executive Essentials has a plethora of great pens on clearance every day. Come on in and browse a little. It turns out that calendars are fairly complicated instruments when used to track the days of our lives. For the most part, it’s pretty straight forward. All that is required of us is to purchase a pre-made calendar, write down our favorite events throughout the year and check it once in a while to make sure we are on course. But, for the folks who put those calendars together and watch over the relationship of our earth years in relation to our calendar years – well, they have their job cut out for them. Turns out that even though there are 365 calendar days in a year, there are really only 364 and some odd actual hours in a year. In order to synchronize the way we represent the passing of time with the way time actually passes we need to add an extra day every 4 years. If this didn’t happen, the seasons would slowly (and I mean slowly) shift so that at some point the months that we typically associate with summer would be winter. Mass hysteria, dogs, and cats, living together. To make matters even more confusing, what I’ve described above relates to the Gregorian calendar. This is the calendar that we use here in the United States as well as other parts of the world. Commonly referred to as a solar calendar. But, there are other calendars out there that have different ways of dealing with “real time”. There are Julian, Hebrew, Hindu, Chinese and a Solar Hijri calendar all of which have their own special ways to account for times passage and how to rectify discrepancies. Here at Executive Essentials the only thing we take the time to mark on our calendars are our upcoming sales. And we have a lot of them. In fact, right now, we have 50 percent off on Waterford Pens. And don’t be fooled by the title, the Waterford Pen Clearance is not a sale that comes every four years or lasts for only one day. But, supplies are limited and it wouldn’t hurt to take a quick look to make sure your not missing out on some great clearance pen deals. To give you an idea of what we have right now, here are a few items. The Pallas (pronounced ‘palace’) is a clear standout in the list of Waterford Pens on clearance at Executive Essentials right now. 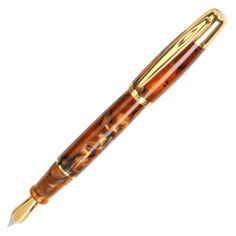 The barrel of this pen is crafted from a single piece of hardwood and polished by hand for a smooth, delicate and beautiful surface. The intricate design is natural and pulled out from the wood through the polishing process. This particular pen comes with gold trim all around for a very regal look and feel. At 50 percent off, this pen comes home for a low price of $64.99. The Alana is a slim specimen of a pen, with simple distinct lines. This pen speaks to the organizer in us all, with a clean design that orders clear the mind. The barrel of the body is a sterling silver field with the Waterford Seahorse logo etched gently into the center. The metal clip has a subtly curve, bringing a bit of excitement to the easy lines. The blue of the pen on either end invokes a clear sky or a calm ocean and enhances the overall peaceful feeling of this elegant ballpoint. Put all together and you have a pen worthy of writing with. And it’s on sale now for $58.99. These are just two of the many Waterford pens that we have at Executive Essentials. Take the time to browse these and other great pens available. Spring is here and she’s gearing up to kick old man winter in the shorts. And, as he exits the scene everything will begin to bounce back to life and the great outdoors will be humming with a new generation of flora and fauna. Spring makes everything just a bit shinier, a bit more fun, and a lot more exciting. And pen collectors are not immune to the special feeling doled out by the sunshine and warmer weather. Cloistered in their homes all winter, embraced by the warm glow of laptop monitors, winter sales, and eBay auctions, this is the time of year that pen aficionados gear up and get out into the real world. The time for browsing with your fingers is over. The time now to don the shoes of an explorer and discover hidden treasures with our feet. 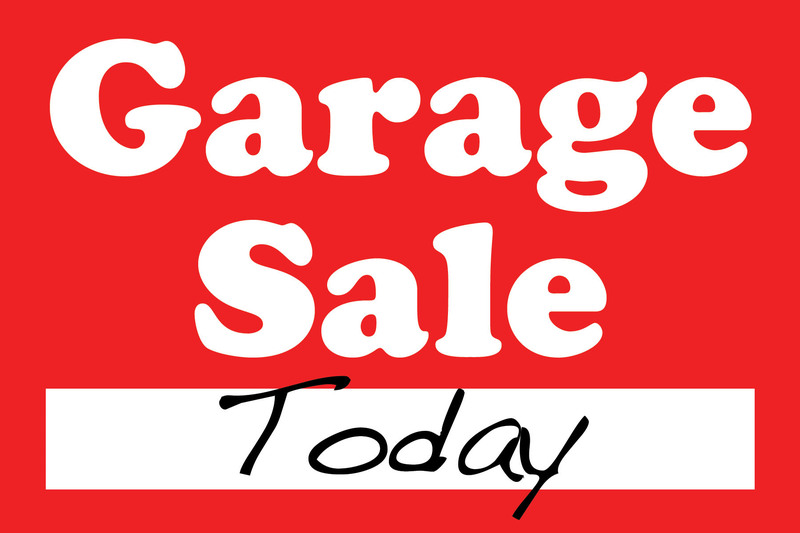 It’s time for garage sales! All around my tiny town, garage sales are starting to surface. Earlier this week I helped a friend set up for a Saturday sale and was immediately reminded of how treasures lurk in the discounted piles of makeshift shopping opportunities in driveways everywhere. In fact, I found a model of Fenway Park that my friend had priced at $2 set out on the table. He’s a big baseball fan and I was curious why he didn’t want it anymore. He told me he was getting rid of stuff and that it wasn’t worth anything, then went about getting back to work. Curious, I whipped out my phone and looked up the small model on the internet. Turns out the model was a limited edition and was selling for $60 on eBay. Granted, not a millionaire making a moment, but my friend was surprised to find out that even if the rendition of the famous park didn’t have sentimental value anymore, it did have some monetary value. He pulled it off the table, laughing as I offered to pay $2 for it. Besides random and sundry knick-knacks of value, garage sales are also a great way to find vintage pens and pen treasures of all kinds. And the key to successfully identifying your treasure is having access to the internet via your phone so you can tap into websites like Executive Essentials and others to identify what it is you’re holding. Executive Essentials has names and pictures of a wide variety of pens that will help you identify a wide range of pens and get you close to placing a value on it as well. So don’t hesitate. Spring doesn’t last long and the early bird gets the worm. Get out there and hunt down those forgotten pens from days of yore and put them back into operation, give them a place to shine and bring them back out into the glow of spring. And, if you don’t find any pens of interest out in the real world, Executive Essentials has pen sales that will always be here to help you get your fix. Spring is here and the Easter Bunny has hopped off into the wild blue yonder making way for the months when we celebrate those that gave life to us – our parents. First up, Mother’s Day. And what a perfect time of year to celebrate the one person that gave us the opportunity to owe taxes, err, I mean life. The person who gave us life. Seriously though, mothers around the world deserve our deepest gratitude and undying devotion, just as they gave us all they had to offer and just as they still give us all they have to offer. It’s a tough job, being a mother, and one that you’re not born into, but rather one that you give birth to. And from cradle to grave they will always be there for us when they are able. This mothers day we at Executive Essentials have a few pen lines that we think would be the perfect gift for any mother out there. From sassy and charming to organized and intelligent and beyond, we have a wide array of pens that all mothers will love. So don’t just stand there thinking about what kind of quiche to make for dinner or whether daffodils or roses are more appropriate for dinner, take a look at these great pens deals and let your imagination (and gift giving) soar. The Metropolitan Museum of Art collection was made for Mother’s Day. This entire pen collection has a lot to offer every type of Mom. But, this line of pens speaks very clearly to the experienced mom. The one that’s past diapers and baby yoga and more into soccer tournaments and PTA meetings. This entire collection cuts across a great many design styles, lending itself to various tastes. However, all of them lend a sense of organized authority, with just a hint of playfulness and independence. Check out this pen line and see if you find your mom in here. Does your mom float just a little left of center? Does she make everyone laugh but you? Does she have an uncanny ability that allows her to turn a toilet paper tube, an old football jersey, and a Popsicle stick into an embarrassing craft? If this sounds like your mom then we have the pen for you. The Good Bead Pen Collection is filled with inspiration and hope. It is a true visionary pen, meant to inspire and entertain and it is just quirky enough to make heads turn when you pull it out. In a series of vibrant colors meant to grasp the imagination and run, these great pens will be the perfect addition for that mom that makes everything. There’s really no way around it. The Yard-o-Led Esprit collection is perfect for any mother. This glamorous collection of pens have a look and feel that is simple, yet elegant. Set in silver at the head and tail, with the barrel, body-lines that curve slightly along the shaft, these pens have a silhouette to remember. Dressed up in the middle with pastel fields of color, these pens speak to the mom that need function and beauty wrapped up into one writing instrument. There is a wide array of colors to choose from and the choice will be hard but know this, whatever you do choose will become your mom’s new favorite. My own mom once trounced a group of kids that used to follow me home to pick on me when I was in 7th grade. Remember that scene from the Karate Kid, when Mr. Miyagi comes to Daniel’s rescue right when he’s about to get flying sidekicked in the face. It was a lot like that, only my attackers didn’t know martial arts and neither did my mom. And why do I mention this? Because my mom’s favorite color is pink. But, not just any pink, but the exact pink color that the Aurora Talentum Collection uses in its pink with chrome series. And what am I trying to tell you about that? Moms are tough and so is the color pink. If you have a tough mom. This just might be her pen. Regardless of what type of mom you have, Executive Essentials has a great variety to choose from. So take a look around and find one that will go great with the mom in your life. Have you considered a Summer Pen? It’s nearly the start of the summer: daylight stretches into the late hours, the afternoon breeze brings crisp air from the coast, and ripe lemons hang off the backyard tree. These are the evenings to prop up a good writing chair on the balcony. The start of summer also means the start of a new client cycle. 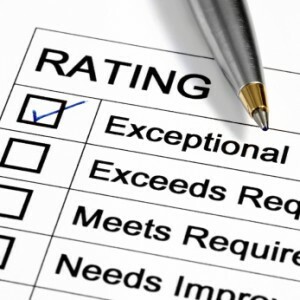 New clients will want summer promotions or use the renewed season to think about new branding opportunities. That means more hours on-the-move, more meetings in scrunched little cafes, more sitting in subway stations. It’s the season for a new summer pen. A summer pen is a personal tradition and has a simple set of requirements. Any pen hoping to be a summer pen needs to travels well, has a little flair, can write admirably for long periods and won’t suddenly beg for ink in the middle of a thought. Summer pens fulfill a specific purpose. They aren’t meant to be all-purpose pens (but could become one if you like one enough!). They are meant to facilitate adventure and to be themselves a tad adventurous. My usual pens are a sober bunch. Formal lines, traditional silhouettes, heavy black-and-golds trims. Most of these beauties, sadly, are ink-guzzlers. Back in 2008, I traveled to Idyllwild, California—a small town of a few thousand nestled a mile up in the San Gabriel mountains—for a three-month job. Idyllwild had a very rustic, old-California charm. There was manual work to be done in the artist’s studio, cleaning canvases and moving furniture. In the evening, there was plenty of time to read a novel or write a few pages in the journal. The nearest office supply store was twenty miles down a single windy highway to Hemet. It was necessary to rethink the kinds of pens I was going to use. If I ran out of ink in Idyllwild, that was going to be it for three months. I decided to purchase a pen to tide me through the summer. It had to be a robust pen that could stand up to the heat and the dry conditions. I chose a Fisher Bullet pen (it has the reputation of being nearly indestructible) and a new tradition was born. Over the years, I’ve purchased one or two summer pens at the start of each new summer season. Each pen has given me valuable insight into the kinds of pens that suit me best. Each pen has also pushed my comfort zone a little further out from the “standard” pen type. Consider what you will be doing this summer. Will you be traveling for work? Will you be spending more time out-of-doors, or be in a new environment with limited access to supplies we take for granted? Are you craving to write a summer novel, or finish a memoir? Any of these occasions would be a great reason to get a summer pen. You will be amazed at how a specific writing tool can help unlock tricky projects. I will say upfront that the Fisher Bullet pen is not my favorite pen. Its ink is specially formulated to be used upside-down or in space (International Space Station denizens, take note!). Its refills have a long life compared to other major brands. Three months of heavy daily writing didn’t wear out the Fisher’s initial ink supply. Fisher’s ink can, however, be brittle. It will feel dry on the page. The Fisher Bullet Pen is not a pleasure to write with compared to a well-tuned fountain pen. However, that well-tuned fountain pen isn’t always a possibility. In Idyllwild, the wind would blow grit into my nibs. The Fisher Bullet Pen delivered in these circumstances, and its chromed exterior and slide-on cap meant that when it was sealed, I knew its cap wasn’t suddenly going to pop off into the brush. I chose Lime Green as it was an instantly recognizable color in case I dropped it (California national forests are anything but verdant during the high summer months). The Fisher is a good price for those who will be outdoors or traveling under some pretty restrictive conditions. Do note that if you’re going to be indoors (and not in zero-G), you could pick a pen at random from a pen catalog and choose a better writer than Fisher. I bought this pen for a touch of color and for a second-to-none nib experience. My task for the summer was to touch up a manuscript. I wanted to have a bright, cheery reminder at my side. I also wanted a pen to glide over the paper. It (usually) didn’t disappoint in either capacity. Wordsmiths, take note of the Namiki Prera. The Prera has a fairly standard pen silhouette, with an easy-to-hold barrel. It is easy to hold for long periods of time. It is available in a range of colors and nib sizes. Namiki uses Japanese nib sizes. Thus its fine nib is thinner than many European extra-fine nibs. If you write small like I do, these thin nibs are a godsend. European nibs are often scratchy in the extra-fine range. Not so with the Prera. The downside to this pen, however, is how it handles bottled ink. So far, of the four different inks I have tried in the Prera, only the Pilot/Namiki brand ink flows smoothly through it. My favorite ink (Private Reserve Ultra-Black) has the tendency to flow irregularly, get hitched in the feed, and produce pockets of spotty writing. The pen is a hard starter. Uncapping it for long periods of time will require you to dip the nib in water (or carry a blotting paper with you). This pen is excellent for desk work. Don’t expect to traipse through the countryside with the Prera unless you have a lot of cartridges on hand. But at a desk, this pen is a wonder. This summer, I plan to purchase a pen that takes into account all of the sketching, drawing, and layout I do by hand for my clients. Even though I am a digital artist, almost all of my initial planning work is done with pen (or pencil) and paper. As much as I love fountain pens, they are not built for drawing hundreds of thumbnails. The best and most reliable pens for this work (aside from a Pigma Micron) are ballpoints. I have my eye on the Caran d’Ache ballpoint series. Caran d’Ache is one of the few pen brands that I’ve never owned before. Styled like a pencil, this pen would be equally at home in my journal or on my drafting table. I love bright colors for the summer—especially when they signify construction—so my heart is set on orange. I hope to be able to report its success in a few months’ time! Author ReneePosted on July 12, 2017 Categories Pens, Pens On SaleTags Ballpoint Pens, Caran d'Ache, Fisher Bullet Ballpoint Pen, Fisher Pens, Namiki, Namiki Prera, Pens, Summer PensLeave a comment on Have you considered a Summer Pen?